what is the best way to clean a brush after using it to apply No Days Liquid Fusing Adhesive? 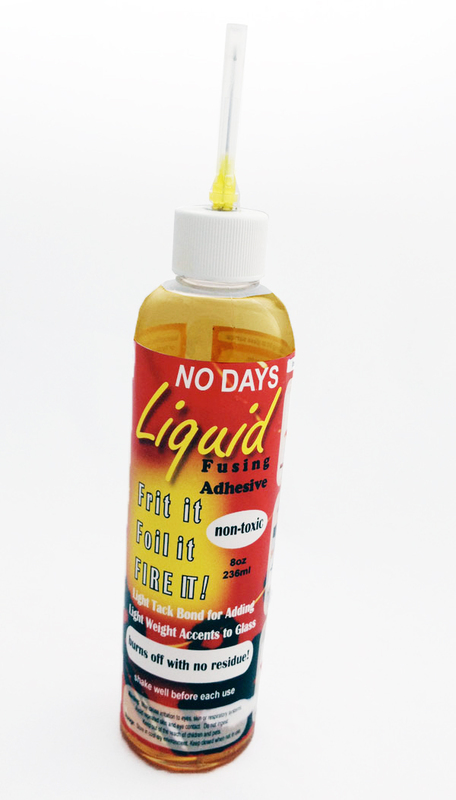 No Days Liquid Fusing Adhesive is the BEST fusing adhesive! adhesive off of the brush (and little bits of frit when I get build up). Days, then you can clean it up when you’re done with a bit of oil. Any oil you’ve got lying around will work. I generally use canola oil, or cutting oil, because they’re right there. Place the oil in a cap, small container, jar lid, etc. and paint the brush around in it. After getting it thoroughly saturated, put a bit of dish soap in the palm of your hand and swish the brush around in it. Rinse and then, VOILA! Clean and ready to use on something else! acetone in a jar and soak and clean the bristles in the acetone. But, I prefer the oil and soap method. Hope this helps! If you have more questions or this didn’t fully answer your question, feel free to contact me again!